It’s safe to say I really am a fan of the lush kitchen. I love being able to try out and discover new products that are not currently available In store. The Hot Java bath bomb was part of the in store range a good few years before I was a lush fan. This meant that this is a product that I have never heard of before net alone tried. 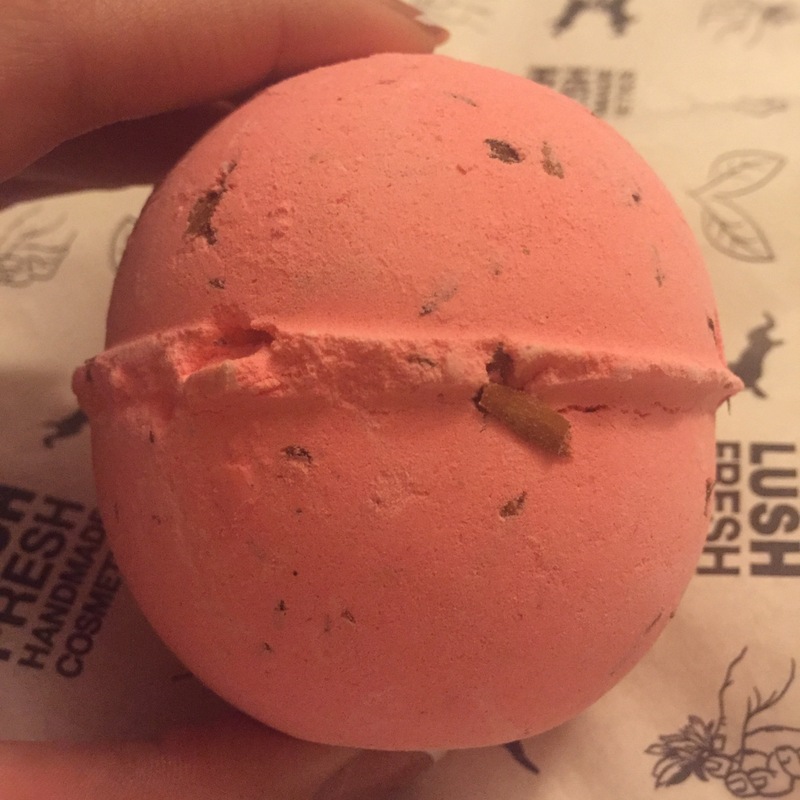 Therefore I was very excited when It made a little appearance on the kitchen menu and had to grab myself one to see what this bath bomb was all about. 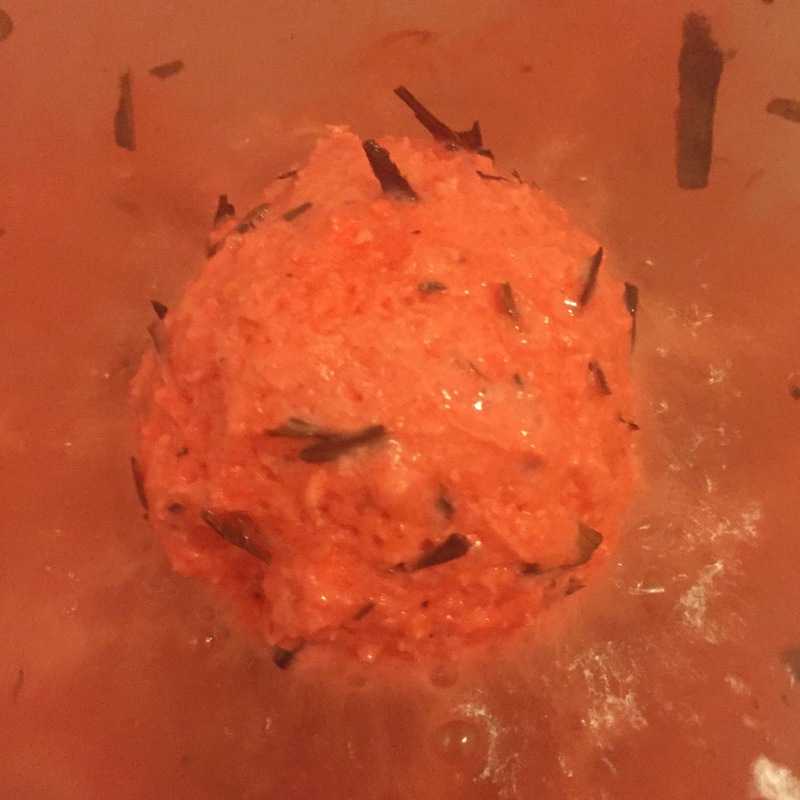 The hot Java bath bomb is an average sized product, featuring a beautiful pinky red colour. The product also contains lots and lots of little cinnamon stick pieces, which can be see throughout the bath bomb. Although the design isn’t the most exciting lush have produced, what really grabbed my attention was the scent. As soon as my lush parcel containing this product was passed through my door I could smell this wonderful bath bomb. 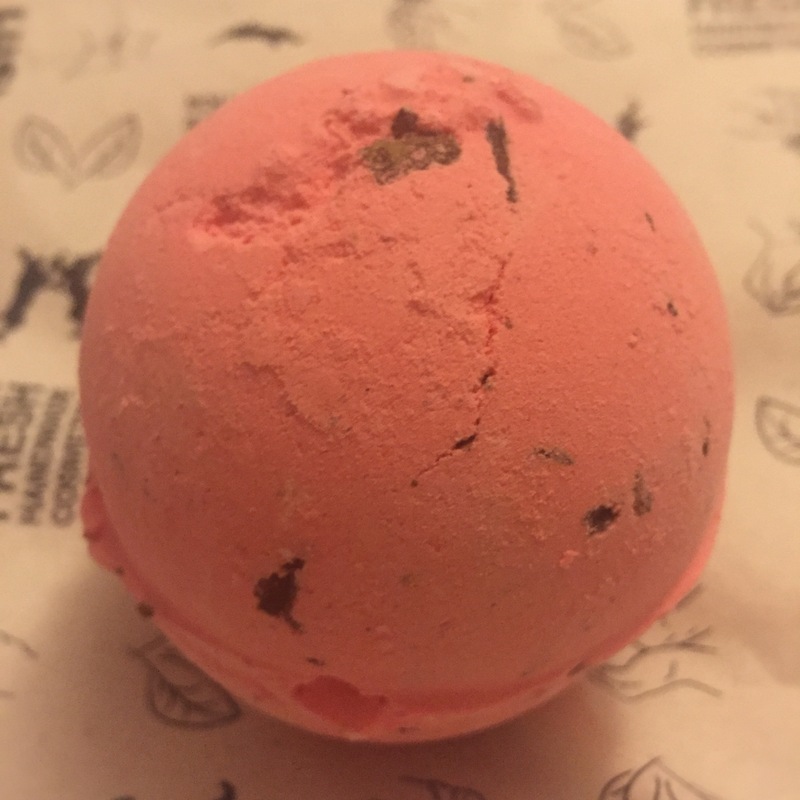 The hot Java bath bomb has a brilliantly strong scent. I tend to get a little nose blind to lush scents, so really enjoy a product when it’s scent is a little stronger than normal. 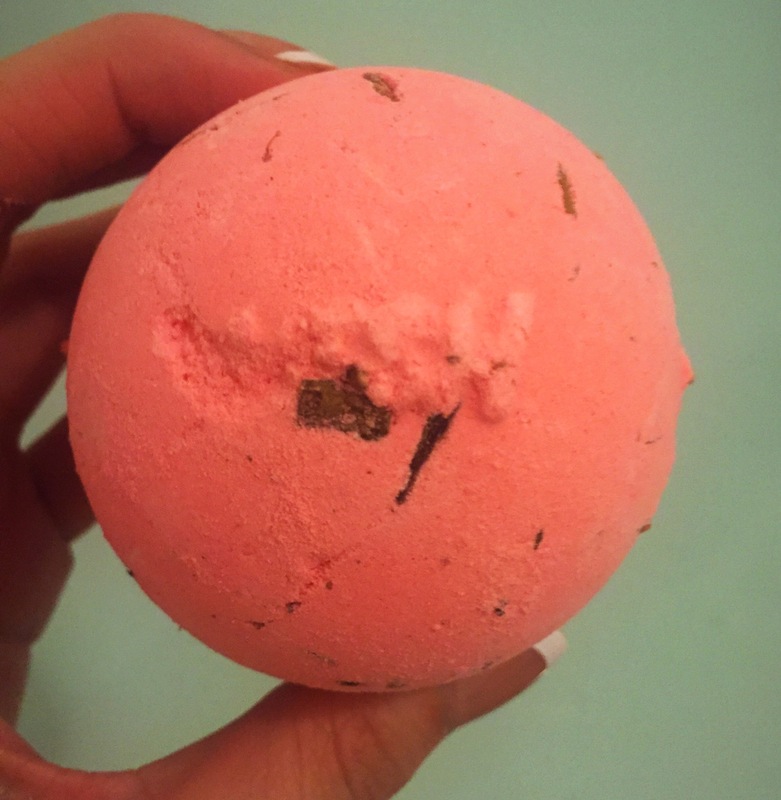 Containing a good helping of both cinnamon and ginger, this bath bomb has a warming, musky, spicy scent. I personally could pick up on the ginger more than any of the other ingredients. I normally hate the scent of ginger, but found this scent very pleasant. I think this may be due to the mix of ingredients really complementing each other. The product is designed to ‘warm you up’ and the ingredients list are defiantly designed to do just that. This bath bomb would be perfect for helping when you have a cold or soothing sore muscles. 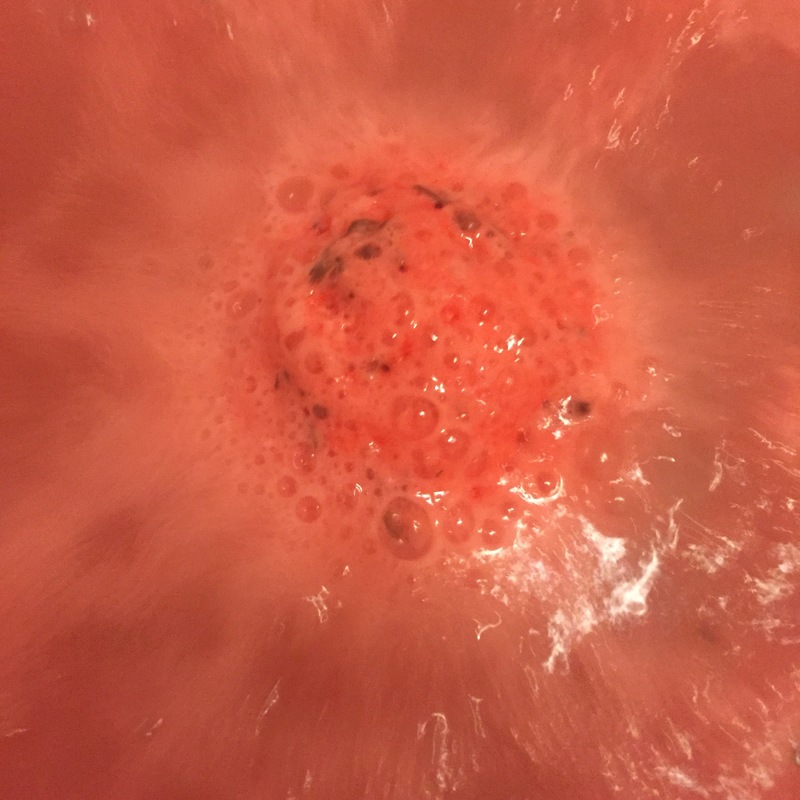 Once popped in the water the hot Java bath bomb is a very quick fizzer. As soon as it hits the water it fizzing turns the water a vivid pinky red colour. This bath bomb does contain lots of little bits of cinnamon. Therefore if you are not a fan of having bits in your bath you might want to use a strainer, to prevent being covered in sticks. I personally really enjoy products that have things in them and found that the cinnamon sticks really added to the scent, as when floating on the hot water there scent was released. I decided to use this bath bomb after a very long day at work when I was feeling a little achy and sore. I found the product really help to sooth my muscles and I felt very relaxed after using this bath bomb. Overall although maybe not my favourite scent, I still really enjoyed this product and found its warming qualities to be very beneficial. Top tip-if you have long hair, tie it up to prevent cinnamon sticks get entwined in it. Ingredients – Sodium Bicarbonate, Citric Acid, Cinnamon Stick, Perfume, Ginger Oil, Cinnamon Powder, Ginger Powder, Coriander Oil, Ginger Absolute, Ylang Ylang Oil, Juniperberry Oil, Benzyl Salicylate, Eugenol, Geraniol, Benzyl Benzoate, Farnesol, Limonene, Linalool, Hydroxycitronellal, Colour 14700.